In Chapter 22, we finally meet Jonathan Strange for real. It’s a great ending to Volume One of the book, and by the end of the chapter we’ve met all of the most important characters and all the pieces are moved into place for the rest of the story. 260 pages is a very long first part, and I have a feeling that some readers may dislike the lack of action so far, but this is definitely where it starts to get really, really good. After his father’s death, Jonathan Strange proves himself to be quite a different sort of man than Laurence Strange. However, while free of his father’s vices, Jonathan isn’t particularly virtuous, either. 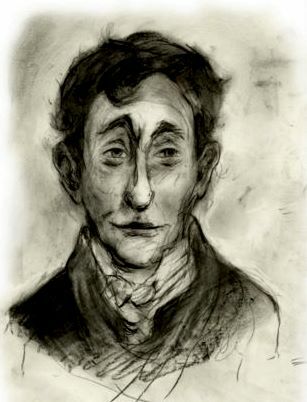 Rather, he’s only a decent sort of man, well-liked by fashionable people, but without any strikingly good traits. Red-haired and long-nosed, Jonathan isn’t even particularly handsome, although he is tall and fit. The author describes him as having a face with “an ironic expression,” which I love, as it’s a description that is very indicative of Jonathan Strange’s personality. Arabella is the woman that Jonathan wants to marry, having only been prevented from doing so thus far by his father’s disapproval of Arabella’s relative poverty. With his father out of the way, Jonathan hopes to soon wed. The problem now, of course, is that Arabella disapproves of Jonathan’s idle lifestyle, and although he has spent the last year fully intending to pick up one profession or another, he hasn’t quite gotten to the point just yet. 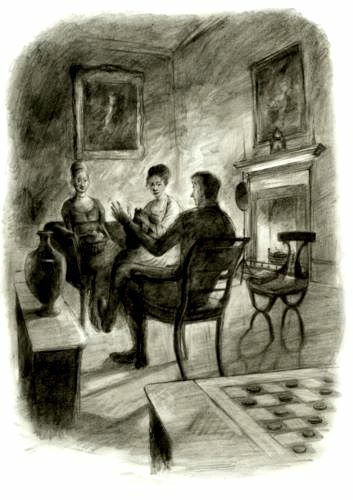 Even so, with his father’s death, Jonathan intends to propose immediately (reasoning that Arabella “would never be more full of anxious tenderness than she was at this moment and he would never be richer”) so he rides to meet Arabella at the home of some of her friends in Gloucestershire. On his way to propose, Jonathan comes to an empty town. When he finds the townspeople, they are all in a furor over a passing vagabond who has been bothering the village for several days and whom they plan to send on his way. When the man extracts himself from the thorn bushes he’s been sleeping under, he introduces himself as Vinculus. Vinculus immediately recognizes Jonathan Strange as the second magician of his prophecy, which he recites again now. Jonathan is unimpressed by such dreary pronouncements, and is ready to ride off when Vinculus stops him. Vinculus pulls out the spells that Norrell had written down for Childermass to use against the street magician, and offers to sell them to Jonathan, who pays for them, if only to stop Vinculus from talking to him any longer. 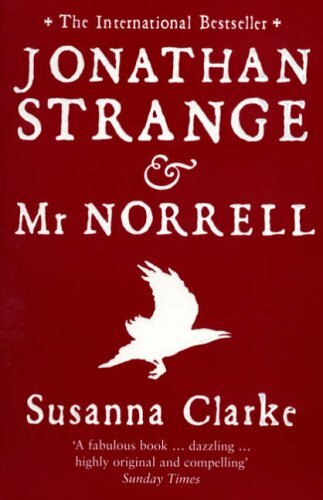 When Jonathan Strange finally arrives at the home of Arabella’s friends, the Redmonds, he isn’t prepared to answer Mrs. Redmond’s questions about what he intends to do now that his father is gone. Finally, he declares his intention to study magic and produces the spells that he bought from Vinculus. Only one of the spells seems practical to do, “A Spell to Discover What My Enemy is Doing Presently,” but Jonathan manages easily to perform it. They are all disappointed, however, to see only a man fitting Mr. Norrell’s description and just sitting in his library working at a desk. “If I am a magician, I am a very indifferent one. Other adepts summon up fairy-spirits and long-dead kings. I appear to have conjured the spirit of a banker!” says Jonathan Strange, laughing, at the close of the chapter.